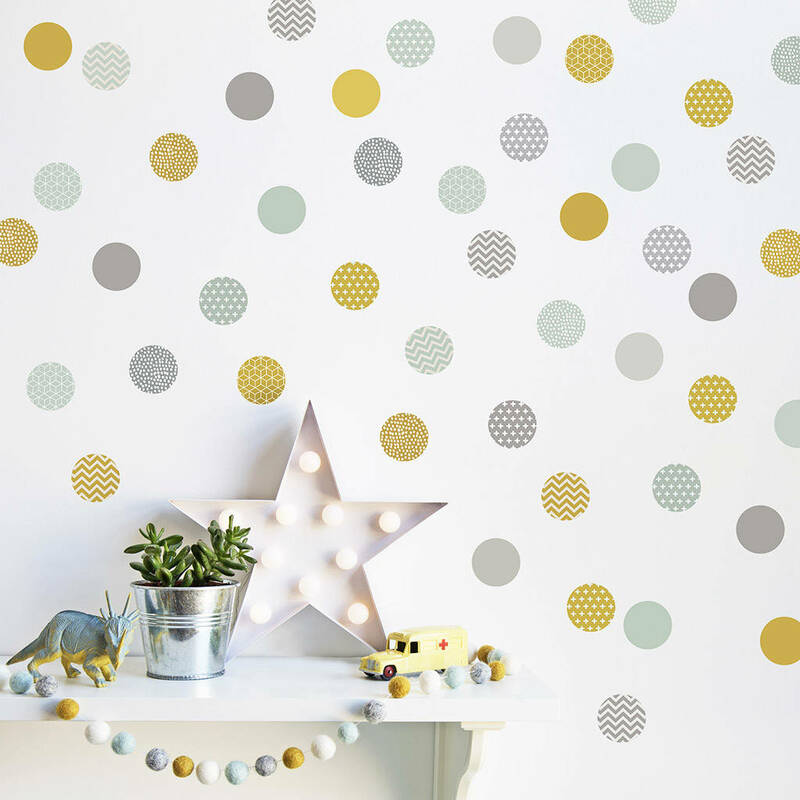 Add a modern touch to nurseries and children's rooms with these polka dot wall stickers. 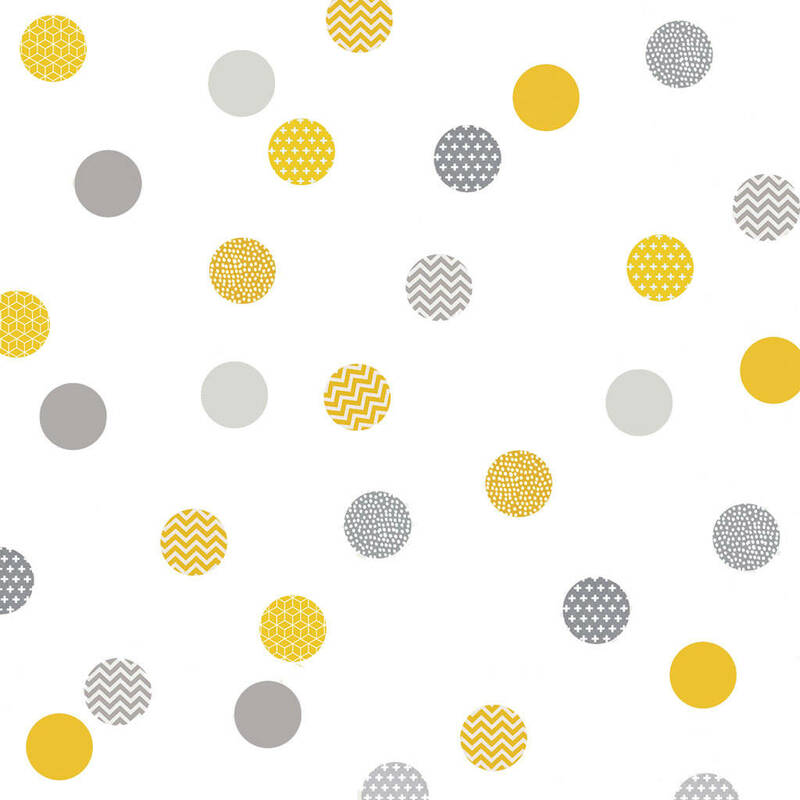 They come in a variety of contemporary geometric patterns. Place them above a cot, or scatter around shelves or picture frames. As they're removable and re-usable you can keep moving them around until you're completely happy with their placement. 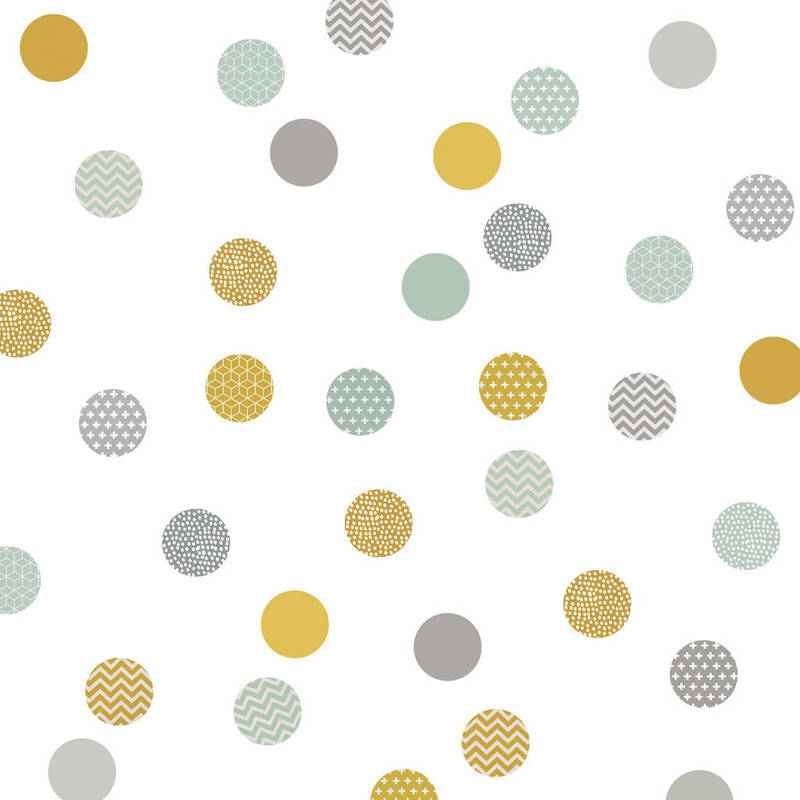 You can choose from 2 colourways: Mustard & Mint or Yellow & Grey. Also available in 2 sizes. The material is made from polyester and is 100% biodegradable. It is free from vinyl, PVC, BPA and phthalates, so is a great choice for nurseries and kid's rooms. Can be wiped clean if necessary. The stickers are very thin with a matt finish and a slight fabric texture. 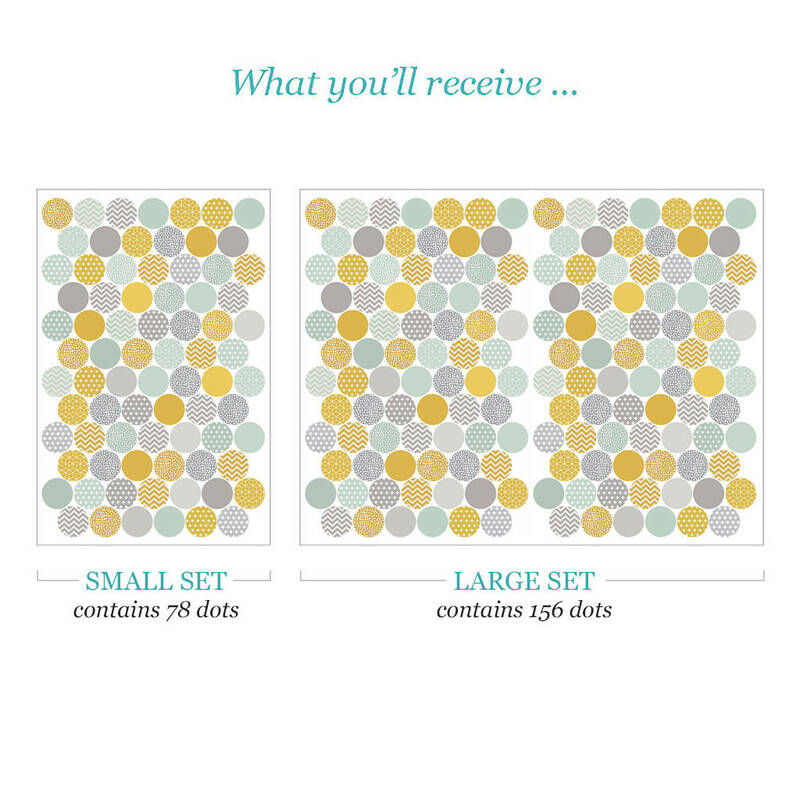 The small set contains 78 dots and the large set contains 156 dots. Each dot measures 36mm in diameter.